There’s a gun buy-back this Saturday at United Playaz from 8 a.m. to 12 p.m. at 1038 Howard Street in San Francisco. United Playaz, a community group made up of ex-gang members, is offering cash in exchange for firearms; $100 for hand guns and $200 for assault rifles, no questions asked. The organization has raised $50,000 which will go to buying back the guns as well as other anti-violence initiatives. Half of that money comes from an unlikely source: pot dispensaries. The project’s leader Rudy Corpuz Jr. approached pot stores seven years ago asking for donations and has been partnering with them ever since. Dispensaries often fall victim to armed robberies, so Corpuz thought a gun buy-back would be a good way for them to be part of the solution. He says that as the number of dispensaries has grown over the years, more have contributed. United Playaz has partnered with five different dispensaries this year. 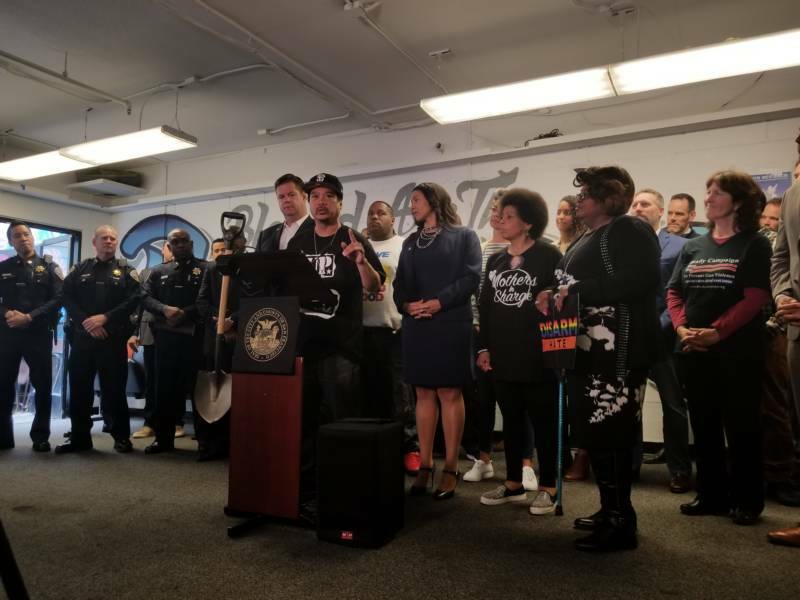 "We need to get some more 'cause they got a lot of weed stores in San Francisco,'" he said jokingly at a press conference announcing the gun buy-back last week. United Playaz is run mostly by ex-gang members who aim to decrease violence on the same streets where they were once perpetrators of violence. 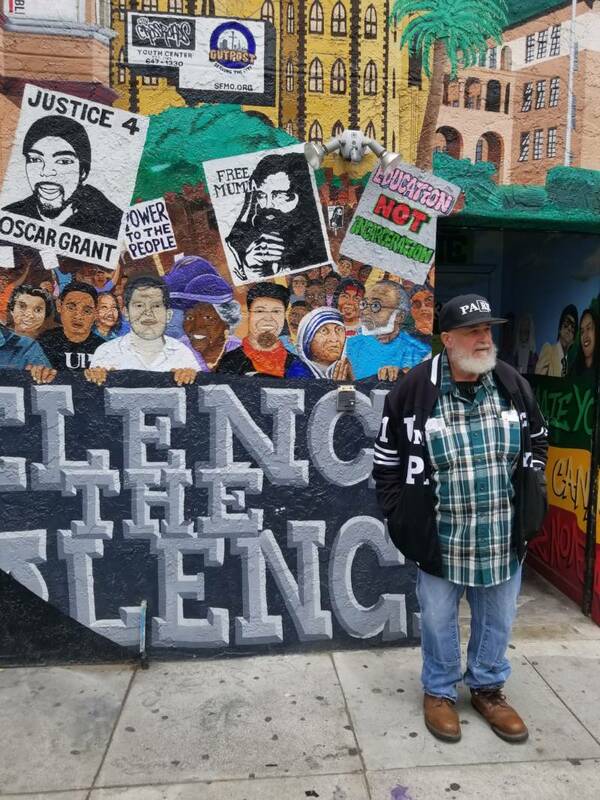 "I get to give back to the community that I was once part of destroying," said Glen Anthony Holden, who spent 45 years in prison for murder and is the Reentry Coordinator at United Playaz. 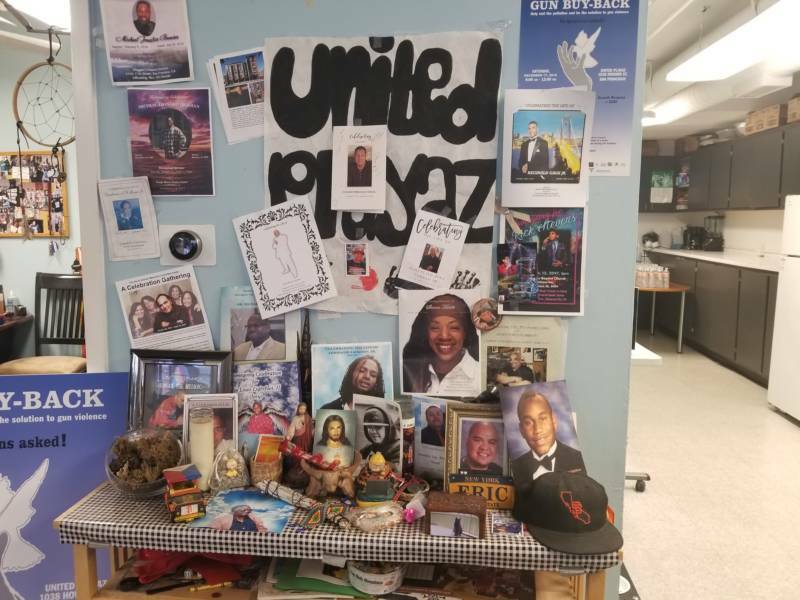 United Playaz is partnering with other groups for the event, including the San Francisco Police Department, San Francisco Suicide Prevention and Mothers in Charge, a group for mothers who have lost children to gun violence, among many others. "People who are irresponsible, people who have mental health issues, people who have guns that are just laying around in their houses or in their cars, we need to get rid of those guns," said Corpuz. 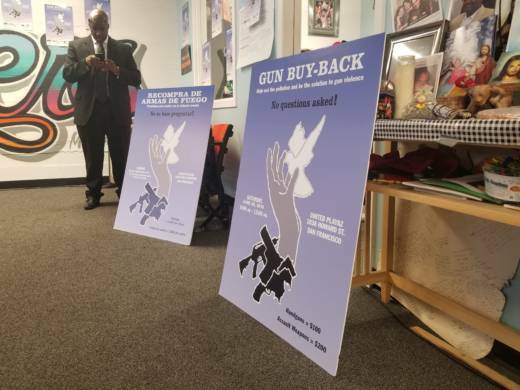 At their last gun buy-back in December 2017, 280 firearms were collected, including BB guns, a rocket launcher and a cannonball. They had to call the bomb squad for assistance. The guns were melted down by the police department. The metal from 50 guns was used to make shovels that were then used to plant trees in memory of Martin Luther King on the 50th anniversary of his assassination in April. The guns from this particular buy-back will be melted down and converted into art in partnership with the Robby Poblete Foundation, named after a 23-year-old man who was killed by gun violence in 2014. The philosophy of the gun buy-back is that the fewer guns that are out there, the fewer chances someone makes a decision in anger that they will later regret. "In my humble opinion, a gun seized is a life saved," says acting Police Chief Toney Chaplain.